Renditions on a theme. The Quatrefoil Lamp Collection consists of two basic shapes. 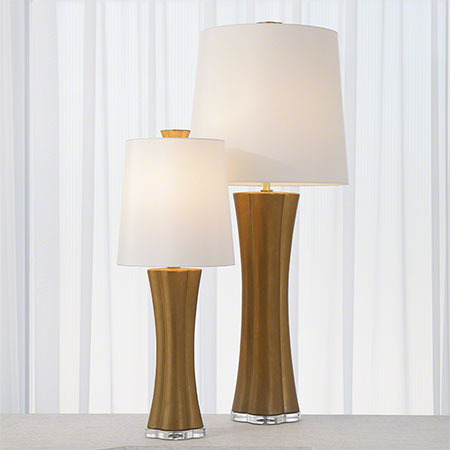 Lamp bases are ceramic with an antique gold glaze, solid crystal quatrefoil bases. Oval faux silk shades. Cord exits from the center to allow for flexible positioning.